Would your child know what to do if a power line fell near his or her playground? Would you like to know some tips to keep your family safer around your home? 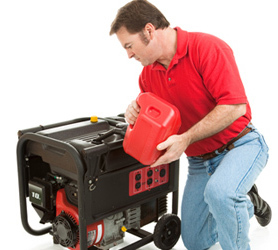 How much do you really know about generator safety? Safety is important to all of us, and that’s why we encourage each of our members to learn all they can about electrical safety precautions and emergency procedures. We hope this section of our website will provide you and your family with some valuable information on how to live, work and play safely around electricity.